I have been a fan of Zid Zid Kids for a long time, admiring the work of Julie and Moulay. They create beautiful items for play and home, all made in Morocco by hand. I find the pieces and overall aesthetic to be so charming. Moulay and Julie live in Morocco and speak French, Arabic and Spanish to their children daily – so it was only natural that their next endeavor would be a creative hands-on language program for children! Petit Zarafa is a play-based multi-language learning subscription website for little citizens ages 2 and up. My children have Chinese flashcards that they play with when their grandmother visits from Taiwan, but we haven’t picked them up in a while. The combination of the activities with learning lessons, grasping different sounds with familiar tasks, is inspiring to me. My kids love playing with games and are currently learning letters & numbers at their own schools – it will be interesting to see what they gravitate to most with this program. In general, my kids love listening to stories… I’m sure my mom, a former French language teacher, would love to teach them French stories. It would be magical if they could speak a little bit of French when we visit my sister in Europe this summer. Are you teaching your children a second language? What do you find works best? I’d love to know! We’d be lying if we told you we never pass our little ones a smart phone or an ipad to keep them entertained. The truth is, sometimes it’s just easier – especially when traveling! With so many game apps available today, we thought it would be fun to share our top 10 favorite apps with you. They teach new languages, allow world exploration, help quiet loud nights, and make fractions fun! And remember, while a lot of these apps are over $0.99, in the end you’ll appreciate the ad-free, no fuss design the cost gets you. Do you have a favorite that you don’t see here? We want to know! Leave a comment below. 1. Sleep Pillow Sounds $1.99 – Although this isn’t a game your children can play, we thought it was important to include. It can be hard to sleep in a new bed with unfamiliar sounds when traveling, but with the help of this app the foreign sounds will be quieted. We consider this to be a must when traveling with children. 2. Endless Alphabet free – We must warn you that skipping the ad before you hand your device over to the kids is key to this ‘free’ app, and once you get to the drag and drop screen you might not want to let go! The idea is for your little one to match the letters on the screen to create a complete word. The longer you keep a finger on the letter, the longer the letter is sounded out (maybe headphones would be best in public?) and once you’ve completed it, the definition is acted out by your new colorful monster friends and you’re on to the next! 3. Toca Kitchen $2.99 – Your children will be preparing 12 different ingredients 180 ways in no time! Since this app isn’t a timed game, there’s no pressure to get to the next level – they’ll able to explore at their own pace. Prefer a vegetarian mode? No problem, they’ve got you covered! 4. Barefoot World Atlas $4.99 – Travel the world through your 4 inch screen with this beautiful app. Geographer and BBC TV presenter Nick Crane will be your guide as you fly around the (3D) world exploring oceans and continents, meeting different people and learning about their way of life. Explore and discover the big world we live in. 5. Petting Zoo by Christoph Niemann $0.99 – You may know him as an illustrator from The New Yorker, but here you will see his illustrations come to life through alligator’s teeth as guitar strings and octopus arms as a mandolin. It’s silly, charming, and perfectly entertaining. 6. Stack the Countries $1.99 – A wonderful way to help your little ones learn country capitals, landmarks, and geographic locations. Want to start smaller? Try the Stack the States app. They’re simple and effective! 7. PBS Parents Play & Learn free – This interactive app is specifically designed for parents. Providing you with dozens of games, you’ll be able to connect every day “teachable moments” to math and literally skills, making trips to the grocery store more exciting for everyone! This free app can be toggled from English to Spanish – perfect bilingual families! 8. Learn Spanish free – Or Japanese, French, Italian, German, Mandarin, or Portuguese with each MindSnack apps. With 9 different games, your children will build essential vocabulary and conversational skills. Unlock levels as you progress and watch your avatar grow smarter and brighter! 9. Peekaboo Barn $1.99 – Although language packages (other than spanish) are an additional $0.99 per bundle, we think this app is a wonderful way to learn animals and the sounds they make. You can also record voices so friends or visiting family can capture their own voice for your children to hear. 10. Oh No Fractions! $0.99 – Math isn’t always a favorite, but with this app it’s easy to see how fractions compare, add, subtract, multiply, and divide through visuals. Keep track of your child’s progress with the statistics feature. The design is sleek and simple, and will have fractions learned in no time! We’re excited to have Julia Pimsleur Levine, founder of Little Pim as our guest blogger today. Little Pim is the ultimate language learning gift for babies, toddlers and preschoolers – to learn more, visit What is Little Pim. As the creator of the Little Pim foreign language teaching series for kids, people often ask me if my own sons, 3 and 7, speak French. They do speak passable French, but what is more important to me than the number of words they know is that they have fallen in love, as I did, with the French culture, sights, smells and tastes. Learning conjugations can come later. 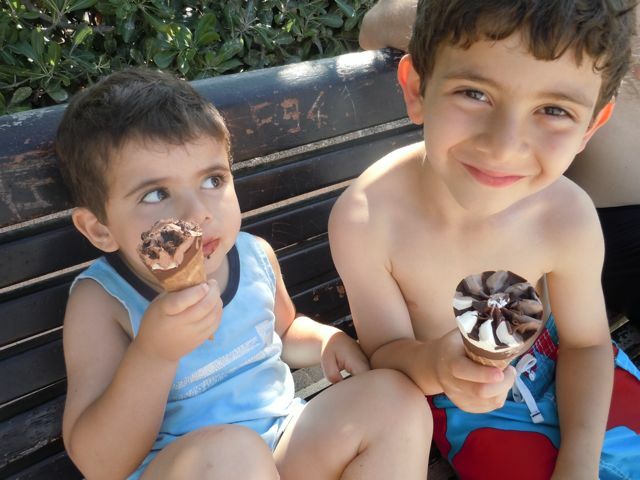 When kids want ice cream is a great time to get them to use their foreign language words… Even the most reluctant young student of French, Spanish or Italian suddenly finds courage in the face of ice cream. “Une glace au chocolat, s’il vous plaît” rolled right off my children’s tongue when we got to France! By the end of our two weeks there, they could say all the flavors and colors, a yummy and lasting learning experience! We also got to attend a traditional French marionette show, where we saw carefully crafted paper maché puppets made in the same way they have been made for the last 100+ years in France …. And probably told the same jokes they have told for the last 100 years too. My three year old laughed himself silly and my seven year old scowled and could only be persuaded to sit through it on the promise of mousse au chocolat after dinner. C’est la vie! No trip to France would be complete without a ride on one of their ornate and spectacular Carrousels. These are nothing like the US mall version and are a great place to teach kids words like avion (plane), cheval (horse) and unicorne (an easy one!). Ever since the trip, both boys greet me in the morning with a half-joking “Bonjour maman!” in unison, and thank me for their Cheerios with “Merci maman!”. And they don’t even realize that with all the amazing things they experienced this trip, the best is yet to come! What language would you like your child to learn? Answer below for a chance to win a Little Pim Gift set in the language of your choice. I saw this shirt in a shop in Seattle with some friends last weekend. They were joking and asking what “62” had to do with Mexico, not actually expecting a response. I told them that there were more than 62 languages spoken in Mexico and they were rather impressed I had an interesting answer. They wanted to know where they could go to learn that kind of information about our designs. I told them to stop being bad friends and read my blog posts! People often ask me how long it takes to design a graphic. There is no straight forward answer for this. Some graphics take days. This one is one of those serendipitous graphics that took about 5 minutes and just worked. 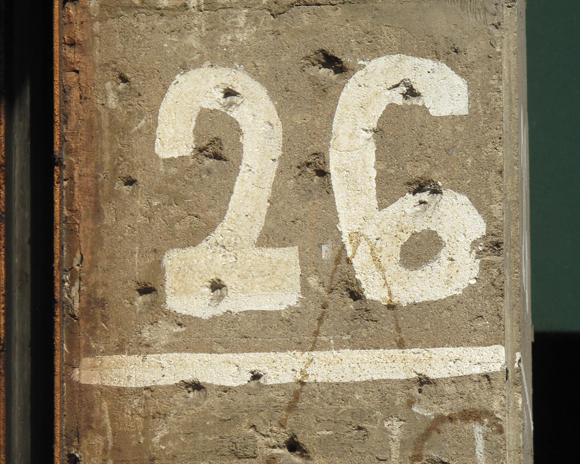 Our designers happened to take a picture of hand painted house number “26” during the Mexico inspiration trip. We loved the numbers and the concrete created a perfect texture. All I had to do was swap the order of the numbers and done! 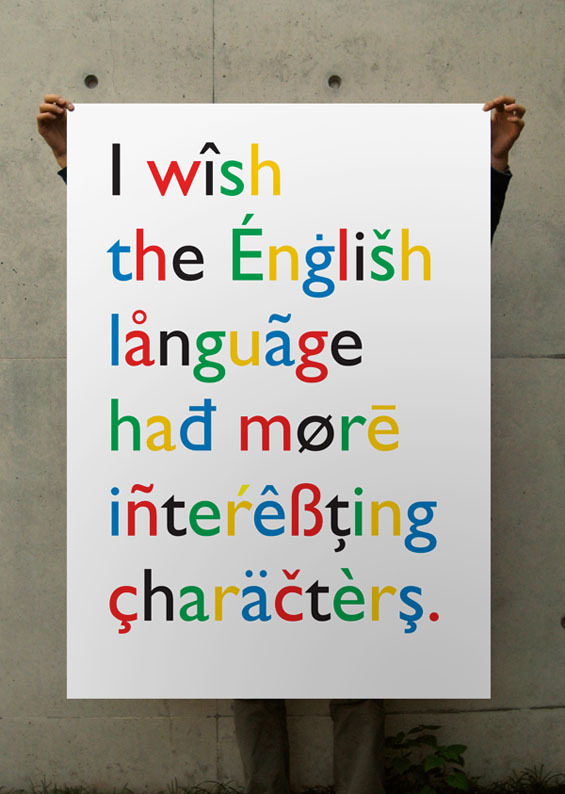 How Would You Re-Write the Alphabet? On the theme of numbers, have a look at our Cubist Stripe Tee and Romper this season – do you know a little Numero Uno? For more numbers posts check out Count to Ten in Hungarian. Want to hear how the words are pronounced? Click here. Interested in learning how to count to ten in Hungarian, or learn some animals in Croatian? Check out our other language posts from this season’s destination of Old World Hungary!